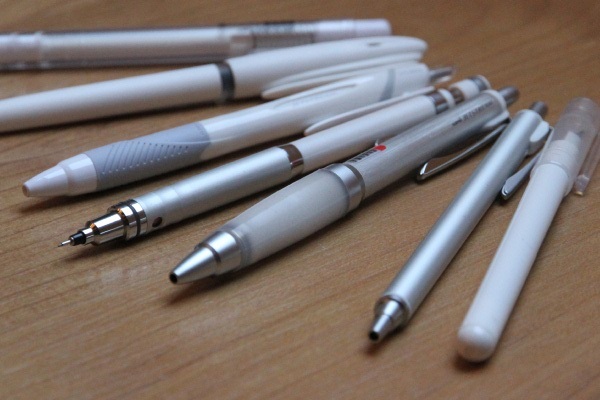 It’s quite hard to pick an individual favourite pen because each one is handy for different purposes. However a good start is to write about my favourite pen collection. This is an Edwin pencil case purchased from JetPens which contains a collection I call my “White Pens” – you’ll see why. 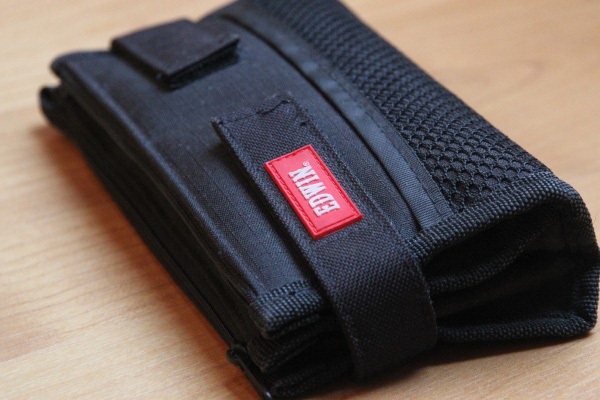 The pencil case itself has two main compartments which open right out. Included are a number of pockets – though I mainly just keep a set of pens in each compartment, and only use the pockets when I need them. My main pens are all black – with a pencil and eraser added in for good measure – both of which are extremely handy for university work. I generally prefer using black ink for writing, but I do like to change my inks. I’m rather fond of Uni’s Jetstream ink – but I also really like their gel inks. 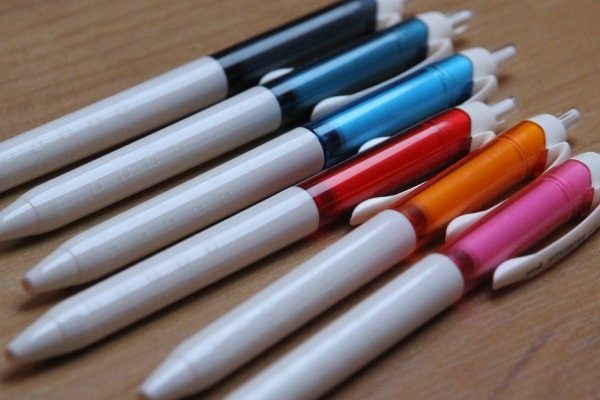 This is what makes up the main body of the pens, with a couple of extras to fill in the missing pieces. I also have a set of colour inks which I use when making notes, creating diagrams and drawing mind-maps. These are all 0.5 mm and look really good together. There’s always favourites among favourites – and in this case it’s the Jetstream Alpha Gel and the Kuru Toga High Grade. 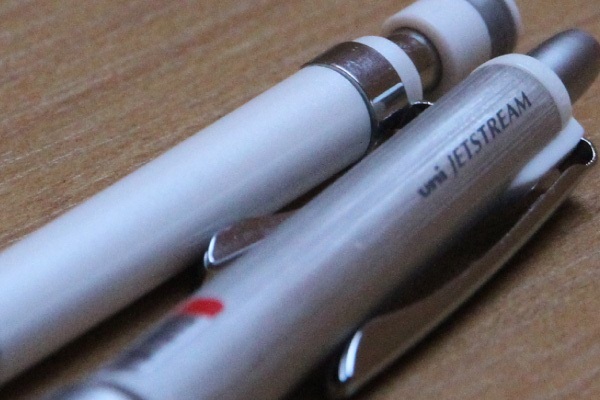 The pen is super comfortable and very thin (I put a 0.5 mm refill in there). It’s generally awesome for writing in small Moleskine notebooks. Whereas the pencil has a super cool revolving mechanism inside which keeps the lead sharp, this is what I use for writing most of the time while I’m at work. 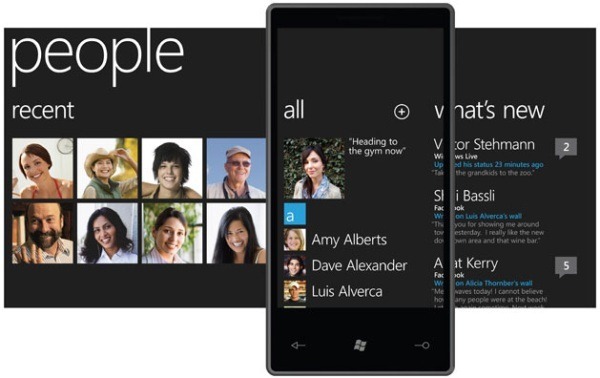 I saw that there was a very interesting post on the Windows Phone Developer Blog about the Metro design philosophy titled ‘From Transportation to Pixels‘ and I wanted to add a few thoughts on the process of designing an application which uses Metro. There’s always a lot of fads which come and go in user interface design. (Glossy buttons anyone?) but good design lasts forever. One of my favourite designers is Dieter Rams – some of the stuff he made with Braun was very impressive (as Apple have noticed). While this is mainly about hardware, many the principles still hold strong for software – including applications designed to follow the principles of the Metro design language. Follow the actions listed above at all stages of your application design, and make sure it fits in with the good design principles that has lasted for so many years. Keep at it, and you can’t go wrong. But don’t kid yourself – Metro is not the ultimate interface, it’s just the (very cool) start of a whole new generation.